An estimated 9 million Canadians are affected by prediabetes or diabetes. Are you one of them? Maybe you’re a caregiver or family member of someone living with diabetes. Or perhaps you are concerned about the possibility of developing it in the future. In all likelihood, you or someone you know is affected by this condition. 90% of diabetics have type 2 diabetes, which can often be prevented. Diabetes is a serious condition that if not properly managed, can affect many major organs in your body, leading to various complications. Some of these complications include vision problems, nerve damage, unhealthy cholesterol levels, kidney disease, cardiovascular disease, and strokes. However, the good news is that diabetes is manageable. Proper treatment of diabetes through lifestyle changes and medication will have a drastic impact on your overall health, wellbeing, and quality of life. Understanding the preventable risks for diabetes and using the knowledge can decrease your risk of developing it in the future. Being aware of the risk factors that you can’t prevent, such as family history, race/ethnicity, and age, can help you understand symptoms and see a doctor. If you already have diabetes, staying informed on the ins-and-outs of the disease will help you and your family manage, and make sure diabetes isn’t getting in the way of a healthy, active life. 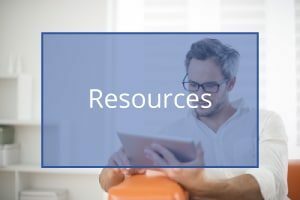 Throughout this resource center, you will find information and resources to help you and your loved ones understand the risks for diabetes, and manage this disease. We’re constantly adding to our collection of diabetes resources, so make sure to bookmark this page to access the latest tips for understanding, preventing and managing diabetes. The high levels of blood glucose found in diabetics can cause nerve damage and poor blood flow, which in turn can lead to serious foot problems. 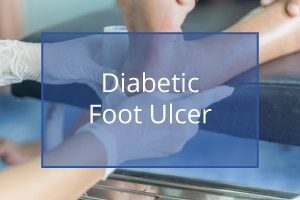 Foot ulcers, which are sores that are found predominantly on the ball of the foot or on the bottom of your big toe, can become a serious issue for diabetic patients. Poorly fitted shoes can also cause ulcers to develop on the sides of the foot, top of the toes, or on the heel. The problem is complicated by the fact that you may not feel these ulcers or sores. Some people with diabetes have nerve damage in their feet which leads to a lack of sensation. Damage or narrowing of the blood vessels caused by diabetes can also mean that not enough blood and oxygen is reaching your feet. This makes it harder for your foot to heal if you do get a sore or infection. As a diabetic patient, it is important to catch any sores, cuts, blisters or other abrasions on your feet as early as possible. Getting an infection, and not noticing it, can lead to serious problems. Keeping your toenails trimmed, having corns and calluses treated by a professional, wearing shoes and socks at all times, and protecting your feet from cold and heat can all help. You should check for sores on your feet once a day, especially if you have lost some feeling in your feet. Seek a professional’s services promptly for treatment of any sores that develop on your feet. Diabetic nephropathy is damage caused to your kidneys by high blood sugar levels. This kidney damage can occur in both Type 1 and 2 diabetes, but develops at different rates in the two diseases. In serious cases of diabetic nephropathy, patients can end up with kidney failure. It’s important to remember that not all people diagnosed with diabetes will have kidney damage. Factors that increase the risk of kidney damage are high blood pressure and cholesterol levels. Ethnicity can increase your risk as well as certain lifestyle choices, such as smoking. High blood sugar associated with diabetes destroys blood vessels that are in the kidneys. These vessels are used to filter waste from your blood. Over time, as damage to the kidney increases, waste builds up in the body which can ultimately lead to the need for dialysis or a kidney transplant. 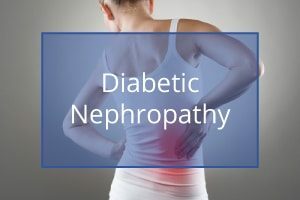 There are next to no symptoms in the beginning, and the only way to know if you are suffering from early diabetic nephropathy is for your doctor to order a urine test for you. Because urine does not usually contain protein, doctors can identify the early stages of diabetic nephropathy if a protein called albumin is found in the urine. Catching diabetic nephropathy in the early stages is very important. Sometimes early kidney damage can be reversed. At the very least, treating it early can help keep it from worsening. So yearly urine tests are strongly advised for diabetic patients. In order to help prevent or minimize kidney damage, it’s important to keep your blood sugar in the target range as much as possible. Keeping your blood pressure and cholesterol levels under control is also very important. Medications that lower blood pressure can help to slow down kidney damage and prevent heart problems that often develop in people with kidney disease. Healthy eating and exercise will help maintain a healthy weight, and keep blood sugar, blood pressure and cholesterol levels in check. Chronically high blood sugar levels can cause peripheral neuropathy, or nerve damage. About 60% – 70% of diabetics will develop this condition making it the most common diabetic complication. Over time, this nerve damage can lead to numbness, loss of sensation, and sometimes pain in your feet, legs and hands. Losing sensation means that you may not feel pain, heat, or even cold in these areas. So if you do have a sore on your foot, it could develop into a foot ulcer that you are unaware of. In severe cases, due to infections that can’t be controlled, diabetic patients may require an amputation of their foot. The most common symptom of diabetic peripheral neuropathy is numbness or tingling in your feet, legs, and hands. Be on the lookout for muscle weakness and balance problems that may be caused by damage to the nerves in your muscles. 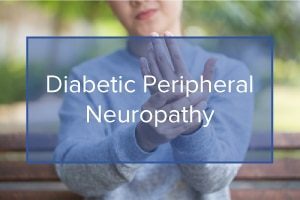 The best way to avoid diabetic peripheral neuropathy is by actively managing your blood sugar level. Keeping it as close to the target as possible can prevent nerve damage from progressing. Obesity is a condition where a person weighs significantly more than their ideal weight. 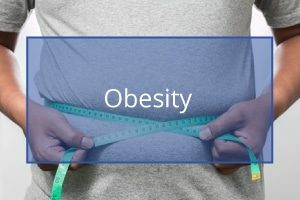 People with a body mass index (BMI) of 25 kg/m2 or more are considered overweight while those with a BMI of 30 kg/m2 or more are considered obese . There is a growing concern about obesity, as it is on the rise. Obesity develops over time when you eat more calories than you use ? the number of calories taken in exceeds the number burned off. The number of calories that a person needs to maintain a normal weight varies from person to person. It can depend on factors such as gender, age, genetics and activity level. Efforts to control obesity include reducing food intake, especially high-fat foods and others that are loaded with calories. Increasing your physical activity level can also help, since the more active we are, the more calories we burn. Being obese increases your risk of many conditions including diabetes, heart disease, stroke, osteoarthritis, and some cancers. Losing just 5 to 10 percent of your weight can delay or prevent some of these diseases. For example, that means losing 10 to 20 pounds if you weigh 200 pounds. Prevention against developing Type 2 diabetes starts with a healthy, active lifestyle. Staying within your suggested BMI (18.5 ? 24.9 kg/m2) can reduce the risk of diabetes as well as many other health concerns. Maintaining a healthy weight and developing a healthy lifestyle should begin early in life, but it is never too late to start. Type 1 diabetes was originally referred to as juvenile diabetes because it is usually diagnosed in young adults or children. Only about 5 – 10% of diabetic patients are diagnosed with Type 1. With Type 1 diabetes, your body does not produce or produces very little insulin. Insulin is a hormone that allows sugar (glucose) in the bloodstream to enter the cells of your body where it can be used for energy or stored as fat. Insulin lowers the level of sugar circulating in the blood. Some factors that may cause Type 1 diabetes include genetics and exposure to certain viruses. Although there is no cure for Type 1 diabetes, it can be managed. Type 1 diabetes is always treated with insulin. Controlling blood sugar levels can help to prevent diabetic complications such as damage to your heart, eyes, kidneys, and nerves. Type 2 diabetes is the most common form of diabetes and was once known as adult-onset diabetes. If you have Type 2 diabetes, your body does not produce enough insulin or it has built up a resistance to insulin. This means that your body does not use the available insulin properly. There are a number of risk factors associated with developing Type 2 diabetes. This includes extra weight, especially around the waist, as well as high blood pressure and cholesterol levels. Genetics can also play a role, as can ethnicity and increasing age. Lifestyle factors also contribute to the risk, such as lack of exercise, smoking, stress, and getting too much or too little sleep. If Type 2 diabetes is left untreated, you could face significant problems with your heart, eyes, kidneys, and nerves. Speak to your doctor about possible risk factors, and about testing for diabetes on a regular basis. If you are at risk for diabetes, taking steps now can help prevent or delay the onset of the disease. If you already have diabetes, proper management may prevent complications. Diabetes is a condition that affects approximately 3.4 million Canadians and comprises 3 main types: Type 1, Type 2, and gestational diabetes. People with diabetes cannot properly use glucose (sugar) as fuel for their body. Glucose is a form of carbohydrate found in foods such as pasta, rice, potatoes, breads, fruits and vegetables. Glucose is also produced in the liver. Insulin is a hormone produced in the pancreas. Insulin helps to move the glucose that is circulating in the blood into cells where it is stored for energy. In people with diabetes, the body does not produce enough insulin or the body does not respond to the insulin properly. As a result, glucose cannot enter into the cells to serve as fuel and levels of glucose in the blood become elevated. High levels of glucose circulating in the blood can cause damage to blood vessels in the eyes, kidneys, heart, and nervous system. Type 1 diabetes develops when there is lower and lower insulin production, resulting from the continued loss of beta cells in the pancreas. 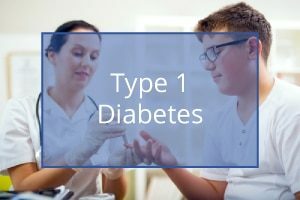 Type 1 diabetes is an autoimmune disease, meaning that the body attacks itself, in this case, destroying the cells in the pancreas that produce insulin. Susceptibility Genes: These genes are found in over 90% of Type 1 patients. Autoantigens: These are proteins that are thought to create an autoimmune response, resulting in beta cell destruction in the pancreas. Having another type of autoimmune disease may make you more likely to develop Type 1 diabetes. Examples of these conditions include pernicious anemia, Graves’ disease, and multiple sclerosis. Geography: Researchers have found that the chances of developing Type 1 diabetes may be related to where you live. The closer you are to the equator, the less likely you will develop the disease. Although the reason is not fully understood, the number of those who develop Type 1 diabetes in Finland is 400 times more than Venezuela. Family history: If a parent or sibling has Type 1 diabetes, you have a higher chance of developing the condition. Viruses: Various viruses have been linked to Type 1 diabetes development, including the viruses that cause measles and mumps. Since Type 1 diabetes is an autoimmune disease, the theory is that the viral infection leads the body to attack itself rather than fighting the illness. Diet: Exposure of infants to high nitrates in water, dairy products, and low intake of vitamin D have been linked to the development of Type 1. 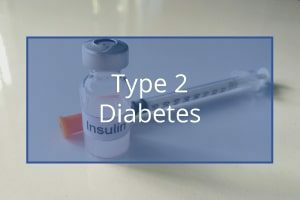 In Type 2 diabetes, your body has either become resistant to insulin, meaning that your body does not use it properly, or your pancreas doesn’t produce enough insulin. It’s not entirely clear why Type 2 diabetes develops, but a number of factors are thought to be involved. Genetics: If one of your parents has Type 2 diabetes, you are at increased risk for developing diabetes. However, the exact gene(s) responsible for this have yet to be determined. Lifestyle: Lifestyle factors are of vital importance, since even if you have the genetic mutation mentioned above, a healthy lifestyle can help prevent the development of diabetes. A healthy lifestyle includes physical activity, eating foods that are low in fat and high in fiber, and maintaining a healthy weight. Ethnicity: There are links between ethnicity and Type 2 diabetes. African Americans, Native Americans, Hispanic Americans, and Asian Americans’ have an increased chance of developing Type 2 diabetes. The risk of developing Type 2 diabetes in people with these ethnic backgrounds is increased if they live in America – no doubt due to the American lifestyle of many, which includes lower physical activity and a higher calorie intake. Age: It’s been found that age increases your risk. Notably, at the age of 45 your chances of developing diabetes start to rise, and after 65 years of age, they rise dramatically. Gestational diabetes: It’s been shown that women who have had gestational diabetes are more likely to develop Type 2 diabetes later on in life. Women who have had this condition should be screened for diabetes. Polycystic ovary syndrome (PCOS): PCOS is a condition in which women develop many cysts within their ovaries and is believed to be related to insulin resistance. So, if you suffer from PCOS, you may have a higher risk for developing Type 2 diabetes and should be tested. As it stands today, there is no way of preventing Type 1 diabetes. Studies are ongoing, looking for a way to prevent this disease in those at risk. However, preventing Type 2 diabetes is often possible with the right lifestyle changes. Although not everyone who develops Type 2 is overweight, it is a very prominent factor in many cases. You are considered overweight if you have a Body Mass Index (BMI) greater than 25 and obese if you have a BMI greater than 30. Those who are not overweight but who are at risk due to other factors such as gestational diabetes or having a sibling or parent with Type 2 diabetes, should still use the same preventative lifestyle changes. These preventative measures can help to delay, or even prevent, Type 2 diabetes. For those who are at risk due to being overweight or obese, losing 5 to 7 percent of your total weight can significantly reduce your risk. If you are unsure how to lose weight, you should speak to your doctor. Your doctor will be able to provide you with information and put you on the right weight loss plan to achieve your goals. Eating healthy is the first step in reducing the risk of developing Type 2 diabetes. Reducing your blood sugar (cutting out unnecessary carbs and sugars) will reduce the strain on your pancreas in producing sufficient insulin. Reducing the amount of exposure that your cells have to insulin may also reduce your chances of developing insulin resistance. Being inactive for long periods of time increases your risk of developing Type 2 diabetes. Engaging in physical activity daily will help to reduce the risk of developing the disease. Ideally, you’ll want to participate in at least 30 minutes of exercise daily. Try out different physical activities so you don’t get bored of the routine, or until you find one you really enjoy. If exercise and physical activity is new to your daily routine, you may want to work your way into it gradually. Speak to your doctor if you need help creating a plan that works for you. Binge drinking, and consuming excess alcohol can increase your chances of developing Type 2 diabetes or developing complications if you already have diabetes. Cutting down your drinking to a moderate level is recommended. A moderate amount of alcohol for men is not more than 2 drinks a day, and for women, only 1 per day. Type 1 diabetes is usually diagnosed as a child or teen (aka juvenile diabetes). In Type 1 diabetes, the pancreas loses the ability to make insulin. 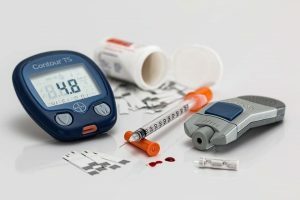 Symptoms may not develop immediately when insulin is no longer being produced, as there may be enough insulin remaining in the body to control blood sugar levels for awhile. But once it runs out, blood glucose levels rise very quickly. This is why the symptoms feel like they develop so quickly even though the condition may have taken a long time to develop. If your child develops symptoms, take them to see a doctor to be tested as soon as possible. Type 2 diabetes symptoms come on much more gradually. You may not notice symptoms at first, as they may be mild and as they develop gradually, you may become accustomed to them and not notice anything wrong. Your body may adapt to the lower levels of insulin available or to your body not utilizing the insulin well, but eventually, you will start to notice the symptoms. Not all patients who develop Type 2 diabetes will have all symptoms. And, because they tend to develop gradually, a lot of patients are shocked when they are diagnosed with Type 2 diabetes. It’s important that if you have any symptoms, you should see a doctor to be tested and diagnosed. 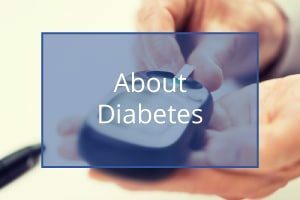 It is recommended that all individuals should have an initial blood sugar screening to see if they are at risk of developing diabetes if their BMI is higher than 25 and they have any additional diabetic risk factors (see Causes and Risk Factors). You should also be tested if you’re above the age of 45. This blood test is used to diagnose Type 1 and Type 2 diabetes, and prediabetes. It tells you what your average blood sugar level has been for the past two to three months. You are diagnosed with diabetes if your A1C level is 6.5 percent or higher on two separate tests. An A1C between 5.7 and 6.4 percent indicates prediabetes, while a measurement below 5.7 is considered normal. If your test results aren’t consistent, or if this test is not accurate in your situation (e.g., if you are pregnant), your doctor may use one of the following tests. In the random test, a blood glucose level is measured in a blood sample taken randomly, at any time after eating. A fasting test is done on a blood sample taken after you have fasted overnight. For the random test, a blood sugar level of 200 mg/dL (11.1 mmol/L) or higher suggests diabetes. For the fasting test, if two separate tests show a blood sugar level of 126 mg/dL (7 mmol/L) or higher, it’s a good indication that you have diabetes. You will have to fast for this test for a minimum of 10 hours, but no longer than 16 hours. You will first have a blood sample collected for a baseline fasting measurement. You will then have to drink a syrupy liquid called “glucola”, which contains a large amount of sugar. After consumption, the doctor will take 5 blood samples over a 3-hour period. Within those three hours, a person who has proper insulin levels will see a spike in their blood sugar levels. The levels will then quickly return to normal. This is because the proper amount of insulin is produced, and your body is using the insulin properly in lowering blood glucose. Conversely, a person with diabetes will see the blood sugar levels spike at a higher level than normal, and see it come down much more slowly. This is because your body isn’t producing insulin, or isn’t using the insulin properly. In a sample taken at 2 hours, a blood sugar level less than 140 mg/dL (7.8 mmol/L) is considered normal. A reading between 140 and 200 mg/dL (7.8 – 11.1 mmol/L) indicates prediabetes. And a value of more than 200 mg/dL (11.1 mmol/L) indicates diabetes if confirmed by a second test. Glucose tolerance testing is used to diagnose gestational diabetes. You will not be required to fast overnight for your first test. You will be asked to drink a sugary drink and then a blood sample will be collected 1 hour later. If the blood sugar value of this sample is below 140 mg dL (7.2 – 7.8 mmol/L), this is generally considered to be normal, although normal ranges may vary at different clinics or labs. If your value is higher than this, you will undergo a full fasting glucose tolerance test as described earlier. If at least 2 of the readings taken over the 3-hour period are higher than normal, you will be diagnosed with gestational diagnosis. If you are, your doctor will discuss how to manage your condition during the remainder of your pregnancy. You will also be advised of your increased risk of developing Type 2 diabetes in the future. Your pancreas, a gland found behind your stomach, produces a hormone called insulin. This hormone helps cells to absorb the glucose that is circulating in the blood, giving your cells the energy they need. Glucose is a simple sugar and comes from foods that are rich in carbohydrates like bread, rice, pasta, potatoes, and fruit. Glucose is absorbed into your bloodstream through your small intestine. When the pancreas detects rising levels of glucose in the bloodstream, it responds by releasing insulin. The insulin allows your cells to absorb glucose for energy. If there is more glucose than you need, your insulin hormone tells your body to store the extra glucose in your liver. After which, it will be released as you need it, either for an energy boost, when you’re stressed, or between meals. When blood glucose levels in your blood start to decline, the insulin production turns off until the next meal. If your body does not produce enough insulin, or if your body becomes resistant to insulin (does not respond to it properly), glucose will continue to remain in your bloodstream. This high level of circulating glucose will eventually cause damage to your organs. Whether you have Type 1 or Type 2 diabetes, learning how to manage the disease is imperative. Speaking to your doctor about your options will help direct you in your next steps to managing your diabetes. Unlike other diseases, managing diabetes can be attributed to both the patient and the health care professional. 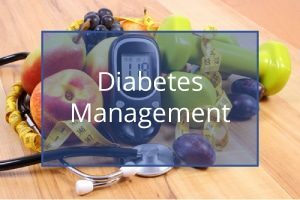 Diabetes management doesn’t solely rely on the doctor, rather it involves active participation from the patient, or caretaker as well. When first diagnosed, it can seem overwhelming, and even frustrating, but understanding the disease is the first step to proper management. With proper management, patients will experience reduced hospitalizations and less long-term complications. Although there is no cure for diabetes at this time, diabetics can live a quality-life. If you don’t manage your diabetes, there are many complications that can arise. Not taking proper care of yourself can take a toll on almost every part of your body. Improper management of your diabetes can lead to heart and blood vessel disease, with heart disease twice as likely to occur with uncontrolled diabetes. In rare cases, blood vessel disease can lead to amputation. Understanding, treating, and managing diabetes will lead to a better quality-life. A lifestyle change can be complex and stressful, but with the right guidance and support, it’s achievable and the best option for anyone diagnosed with the disease. Once diagnosed, consistent care and management is imperative to live a quality life. But, even patients who are extremely careful must routinely check their blood sugar regularly to monitor any problem that could arise. There are two types of complications that can occur with diabetic patient, chronic and acute. Chronic happens over a long period time, whereas acute requires immediate medical attention. Hypoglycemia only applies to diabetic patients who take insulin or other medications that increase insulin, and knowing the signs and symptoms of hypoglycemia will help you prevent serious complications. The three stages of hypoglycemia are mild, moderate, and sever. Realizing you or your loved one has blood sugar in the mild or moderate stage is very important for preventing serious issues. Severe hypoglycemia can result in a diabetic coma and, although rare, can even end in death. If you think you are having an insulin reaction, you should check your sugar levels right away. If left untreated, it could result in a seizure or loss of consciousness. When and if you do have a severe reaction you can use a hormone called Glucagon. Glucagon is produced in the body in order to stimulate the liver into producing glucose. Diabetic patients can get a Glucagon kit by prescription, so ask your doctor or healthcare professional if it is something that you may benefit from. If you do have the kit, or want it for your child or loved one, those who are in consistent contact with the individual should be instructed on how to use the kit. This is in case of an emergency where you or loved one may not be capable of self-injecting. If you think you, or a loved one, are experiencing a severe insulin reaction, call for an ambulance if you do not feel comfortable or have the right resources for the reaction. For a lot of Type 1 patients, this may have been the first symptom of the disease. That being said, it is still possible for diabetic patients to develop DKA. Ketoacidosis happens when your body no longer has any insulin left and you can’t properly or effectively use the glucose produced. Your body will then start to use fat stored as energy. When your body burns fat for fuel, ketones are released instead of insulin. If too many ketones build up in your blood, it makes it acidic, which is when it becomes DKA. If you or loved one are experiencing DKA symptoms, or have confirmed via the two methods above that you have DKA, you need immediate medical attention. If you don’t have any ketone strips, but think you might have DKA, go to the nearest hospital in your area to be tested. 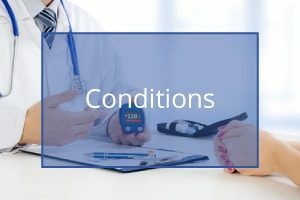 Almost all complications can be traced back to improper control, or uncontrolled, blood glucose levels. eChronic complications develop around 10 years after diagnosis, and are caused by damage to tiny (microvascular) and large (macrovascular) blood vessels. Consistent poor blood glucose control can cause damage to the small blood vessels overtime. If these blood vessels are damaged, they will not be able to deliver the blood the way they’re suppose to throughout your body. Long term, this can affect your eyes, kidneys, and nerves. Both Type 1 and 2 diabetes can cause cataracts or retinopathy over time. Most Type 2 patients already have damaged vessels in their eyes by the time they’re diagnosed. The damaged vessels could also cause glaucoma. Glaucoma causes changes in vision because the fluid within the eye doesn’t drain properly. Most times, the symptoms are minimal during the beginning stages, and if left unnoticed, it could cause serious vision loss. The third, and most severe complication is diabetic retinopathy. Most children diagnosed will develop it before they hit puberty. The longer you have diabetes, the more likely you are to develop diabetic retinopathy. If it’s not caught and treated early, it can cause permanent blindness. Having annual check-ups with your optometrist will help with all three eye complications that are common in diabetic patients. Continual high blood sugar can damage your kidneys. Your kidneys may not be able to filter waste properly, or begin filtering substances out, like protein, that it would usually not. The leading cause of kidney disease is diabetes, and if left untreated, you could be in need for dialysis. This is caused by high blood sugar levels. Neuropathy is damage to the nerves of the body. Damaged nerves of limbs can cause numbness, pain, tingling or burning sensations, or pain. Eventually, you may not be able to feel injury, which can cause infection. Usually this occurs in the feet, which is why it’s crucial to have a proper footcare routine. Generally, this medication applies to Type 1 diabetics, although Type 2 may also be prescribed insulin. It?s administered through injection and are a few options based on insulin production. Your doctor will prescribe the option right for you. These options are; short-acting, rapid-acting, intermediate-acting, or long-acting insulins. When you have Type 2 diabetes, the treatment goal is to help your body use insulin better. This is usually done with oral medication, although some do require injections (other than insulin). Some increase insulin production, whereas others help break down sugars and carbs that cause high blood pressure. Diabetes is a lifetime diagnosis that comes lifestyle changes that each patient must pursue. Once diagnosed, leading a healthy active lifestyle should be your top priority. There are specific actions to take to help maintain a healthy lifestyle at home.